Following the conference, CIArb Australia will host its Annual Dinner at one of Melbourne’s acclaimed fine dining restaurants, No35, Level 35, Sofitel Melbourne on Collins. The special guest speaker will be Allan Myers AC QC, Chancellor of the University of Melbourne, leading international arbitrator and prominent businessman. Dr Pryles will be speaking on ‘Australia’s place in International arbitration’. Dr. Michael Pryles AO PBM is a well-known arbitrator, recognised as a “star individual” by Chambers Asia-Pacific and ranked Band 1 in Chambers Global. 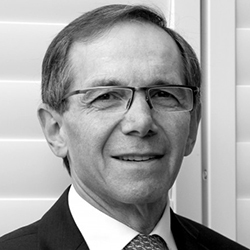 Prior to practising solely as an arbitrator, Michael was a partner at MinterEllison and a Professor of Law at Monash University. He has sat as an arbitrator in over 400 commercial and investor-State arbitrations worldwide. He has experience in: ad hoc and institutional commercial arbitrations under the UNCITRAL, ICC, LCIA, SIAC, HKIAC, CIETAC, SCC, JCAA, KLRCA and Swiss rules; and investor-State arbitrations under the ICSID rules, the ICSID Additional Facility Rules and the UNCITRAL Rules (BITs, NAFTA, CAFTA and state investor protection laws). These arbitrations have involved investment, construction, energy, insurance, distribution, commercial, technology-transfer and joint-venture disputes, with sums claimed up to USD 18 billion. Michael is the Founder President of the Singapore International Arbitration Centre (SIAC), Treasurer of the International Council for Commercial Arbitration (ICCA) and a Fellow of numerous arbitral institutions and associations. You can access the full program and speaker profiles here. The delegate list can be accessed here. 7.30-11.00 CIArb Australia Annual Dinner with guest speaker Allan Myers AC QC, Chancellor of the University of Melbourne, leading arbitrator and prominent businessman. Early bird registrations close 28 September. **Note** - To register for the CIArb Dinner waiting list, please contact Jane Bacot-Kilpatrick. If you wish to not appear on the delegate list, please contact Jane Bacot-Kilpatrick. Participants are responsible for making their own travel arrangements. It is recommended that you check your visa requirements with your local Embassy or Consulate. We are unable to send out letters supporting visa applications to Embassies prior to receipt of your registration and full payment of registration fees. Please apply for your visa in good time. The Conference has negotiated a special delegate rate at the Sofitel on Collins for Classic Rooms at $250.00 per room per night, room only, including wifi. Guests can access this special rate by quoting LAW161018. The reservations team at the Sofitel can be reached via the hotel operator on +61 3 9653 0000. The Business Law Section was established within the Law Council of Australia in 1980. It provides a forum through which lawyers and others interested in the laws, practices and procedures affecting business, finance and other commercial activities throughout Australia can enhance their professions skills. It also enables them to develop contacts and work with governments and other international institutions for the reform of laws affecting the interests of Australian business. The Australian Centre for International Commercial Arbitration (ACICA) is Australia’s international dispute resolution institution. Established in 1985 as an independent, not-for-profit organisation, ACICA’s objective is to promote and facilitate the efficient resolution of commercial disputes throughout Australia and internationally by arbitration and mediation, and to advance Australia’s profile as one of the region’s premier seats for resolving cross-border disputes. ACICA provides a range of administrative services to parties in dispute and is the sole default appointing authority competent to perform the arbitrator appointment functions under the International Arbitration Act 1974 (Cth). ACICA is a founding member of the Asia Pacific Regional Arbitration Group (APRAG) and a signatory to cooperation agreements with over 30 global arbitral bodies including the Permanent Court of Arbitration at The Hague. ACICA is also represented on the International Federation of Commercial Arbitration Institutions (IFAI). Since 1915, and with over 16,000 members worldwide in over 130 countries operating in over 250 commercial sectors, the Chartered Institute of Arbitrators exists for the global promotion, facilitation and development of all forms of private dispute resolution. In addition to providing education, training and accreditation for arbitrators, mediators and adjudicators, CIArb acts as an international centre for practitioners, policymakers, academics and the business community. CIArb Australia is one of 40 branches offering institute members a prestigious and globally-recognised qualification, and as well as access to a global professional community and regular networking opportunities.